This is not an easy plant to identify at the species level. 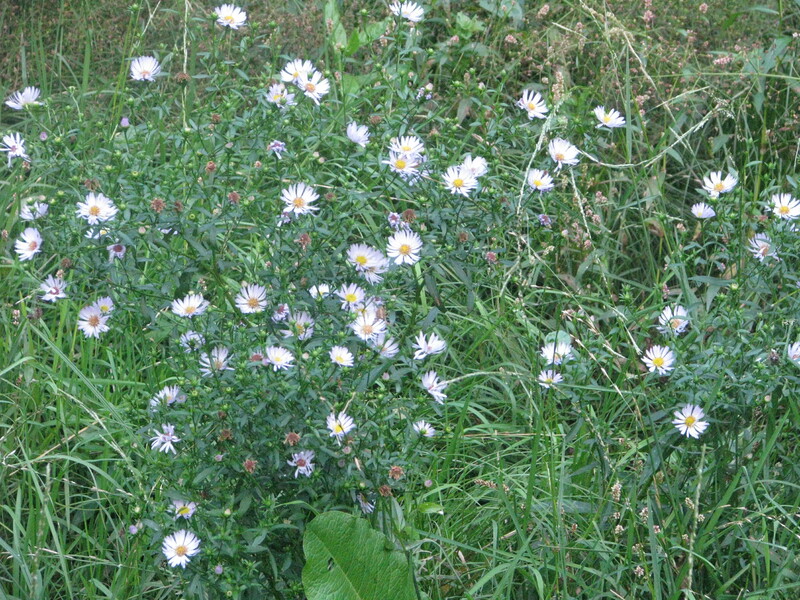 We have Common, Confused, Narrow-Leaved, Glaucous, Hairy and Changing Michaelmas Daisies, and every possible hybrid. As I squint at my photographs, I suspect that my daisies are Confused . On a bad day, I know exactly how they feel. The great thing about Michaelmas Daisies, as anyone who has planted them deliberately will know, is that they are full of energy and colour when most other plants are giving up. They seem to be particularly attractive to hoverflies, a creature that prefers flat, easily-accessible blossoms. Until 1752, this plant was known as Starwort. But when the Gregorian calendar was introduced, it was renamed the Michaelmas Daisy because its flowering coincided with St Michael’s Day on 29th September. However, I rather like the notion of a patch of Starworts, flowering under the harvest moon in a tiny ancient wood in North London, just as they have done for hundreds of years. This entry was posted in London Plants on September 17, 2014 by Bug Woman. 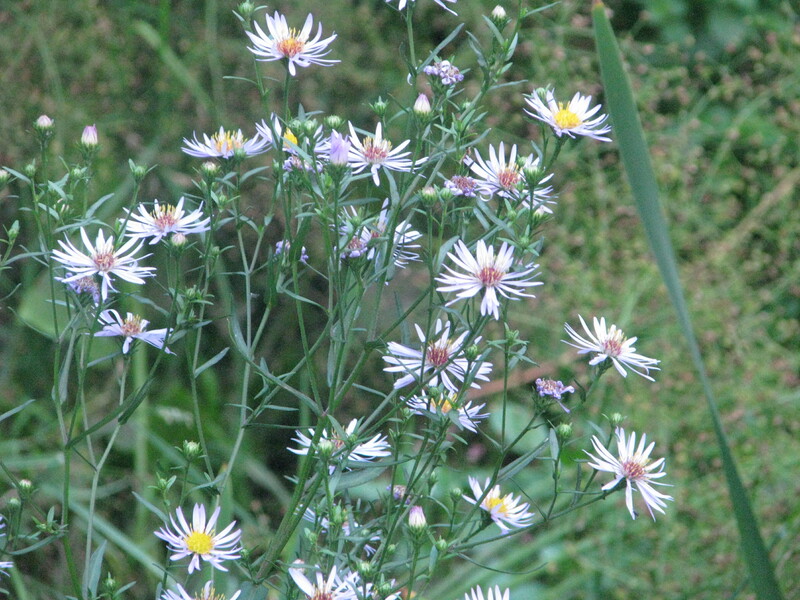 The very first poem I learned at school was about Michaelmas daisies. And guess what – I can still remember it 65 years later. 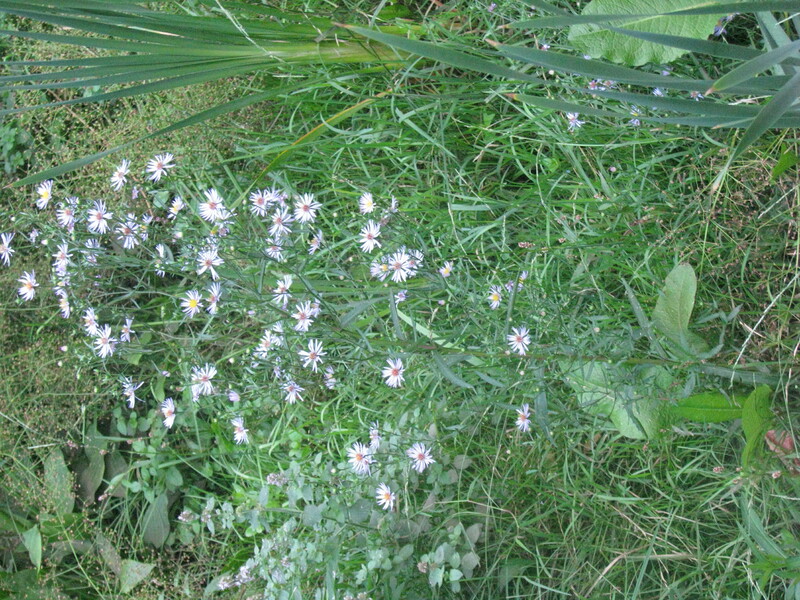 For the Michaelmas daisies are taller than me! Lovely, Daisy! And today your name is extra appropriate…. I have only just seen this post and I remember this poem when I was very young, I have always thought it was something my teacher had made up so it was lovely to see other people remember it. How nice, Hazel! I’d never heard the poem, so it was a treat for me too….